Fáilte go leathanach na Naíonáin Bheaga! Singing songs and nursery rhymes in both languages and to encourage your child to teach you the songs and rhymes he/she has learned in school. bringing your child to the library and sharing books with them. Asking your child to predict what the story will be about by looking at the picture on the front cover. 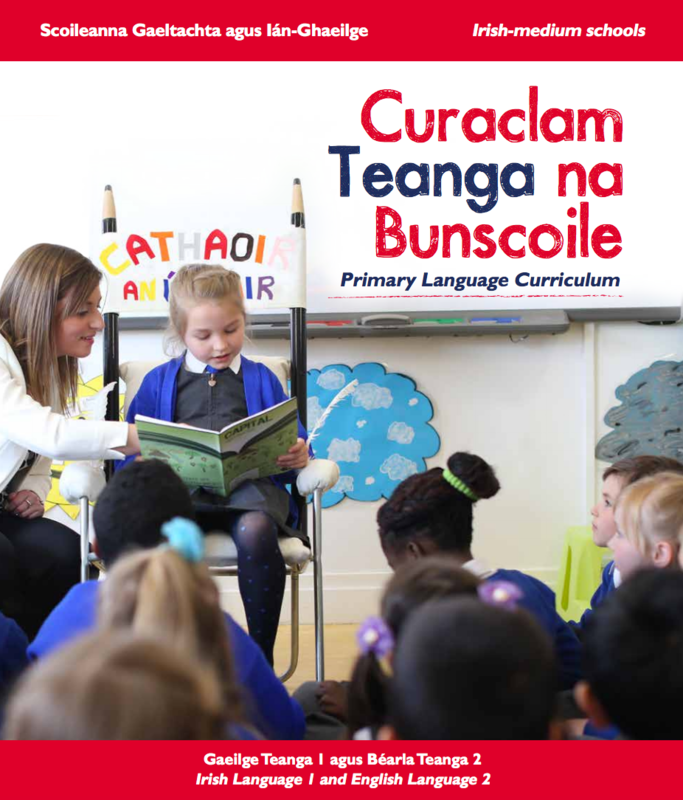 The children will engage with the New Primary Language Curriculum from September 2017. The Curriculum applies in all school contexts—English-medium schools, Gaeltacht schools, Irish-medium schools and special schools. The curriculum for junior and senior infants is aligned with the principles and methodologies of Aistear: the Early Childhood Curriculum Framework. You can learn more about the New Language Curriculum by clicking on the image on the left. Teaching your child counting rhymes and songs and making actions together to go with the words. Talking to your child about important events in his/her own life, such as day he/she was born, first steps etc. Here are some useful links that will help as your child begins in Naíonáin Bheaga!